1. use ceramic anilox roller to pass ink. 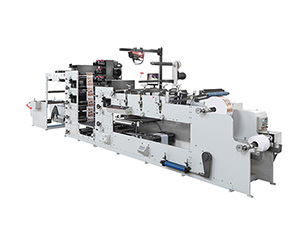 2. each printing unit adopts 360 degree weekly alignment. 3. were equipped with three sets of cutting position, the first and second sets of cutting position and cutting roller anvil roller can and can be interchangeable, positive or negative - and is equipped with a set of third sets of cutting waste reel unit, station can be broken zhang. 6., according to customer demand matching cutting off the conveyor table device, by third sets of die cutting station after breaking, so that the product neatly transported out. 7. unwinding and rewinding by magnetic automatic tension control, and the installation of double roll. 8. monitor the system according to the user's requirements and monitor the quality of the map in high speed printing. 9. parking roller can be automatically disengaged, and running at a low speed, in order to avoid ink being dry. 10. the main motor adopts imported frequency conversion stepless speed regulation. 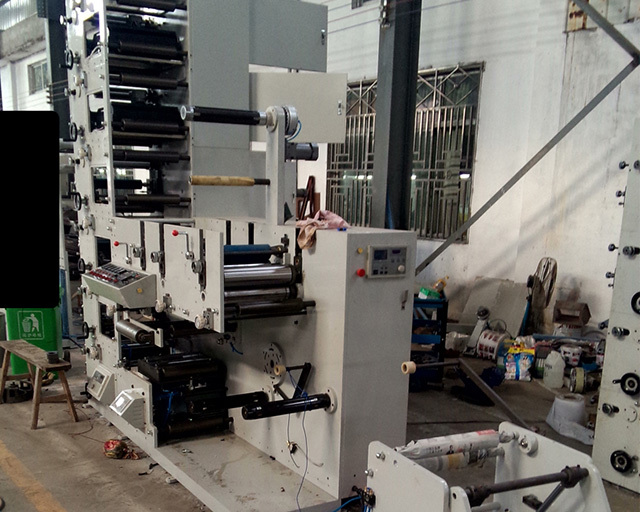 11., from the tube for paper, glue, printing, glazing, automatic infrared drying, laminating, die-cutting, winding up once completed, is the printing of various types of printing business bills, high-grade stickers the most ideal model. The printing speed is 10-80 meters / min.